With a couple of releases already under his belt on Cadenza Lab and Tenax Recordings, Ezikiel returns to Cadenza with ‘Buraka’, a two track single delivered in his own inimitable style. A hive of activity this year, Ezikiel has hit various spots already including Dj dates in Ibiza, Italy, Spain, Dubai and his current home of Switzerland. 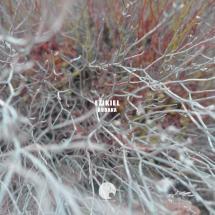 ‘Buraka’ showcases Ezikiel’s super funky style, the swinging drum patterns and spongy synths carve out some great energy here, the infamous accapella getting slightly twisted as a continuous string holds the drama throughout, dropping out only to enable Ezikiel to pile on all manner of sci-fi vibes and earthy percussion. ‘L.S.D’ is indeed an ode to the lysergic acid, with nostalgic dialogue contorting around a very freestyle arrangement of shuffling drums, dubbed out synths, a looping bassline and space echo that deliver a very discordant feel that fits the title accordingly, but one slammin’ track nonetheless from this hotly tipped young producer.